So yesterday, when we talked about the Great Siege of Malta, I mentioned toward the end that the Ottomans, despite losing that siege, were still one of the preeminent military powers in the Mediterranean region (if not the preeminent military power) for another century plus. Well, by 1683 it had been a century plus, and that year’s Battle of Vienna showed that the times, they had a-changed. It was fought as part of the 1683-1699 Great Turkish War, one of many wars fought between the Ottomans and the Habsburg Empire in the 16th-18th centuries, and a war that ended with the first peace treaty the Ottomans ever signed at a total disadvantage, the Treaty of Karlowitz. The Great Turkish War started in July 1683, when a massive (maybe 150,000 men or more) Ottoman army surrounded and besieged Vienna, which had only maybe 15,000 men to defend it. That city had been a long-standing Ottoman target, one they’d tried to take in September-October 1529. That attempt failed when heavy rains slowed down the big cannon-laden Ottoman army and left it with too little time between the onset of the siege and the coming of colder fall and winter weather. They tried again in 1532, but the operation barely got off the ground before it was scuttled. This time, the Ottomans (who were nominally ruled by Mehmed IV but were led by his Grand Vizier, Kara Mustafa Pasha) elected not to even bother bringing the kind of heavy artillery that had slowed the army’s advance in 1529, and they arrived at Vienna with plenty of time to carry out a proper siege before winter. Smart, right? Well, uh, about that. The decision to leave the heavy artillery behind meant the army could march faster, sure, but it also meant that the Ottomans didn’t, you know, have any guns powerful enough to bring down Vienna’s walls. Another decision that came back to haunt the Ottomans was that they’d declared war against the Habsburgs in January of 1682, but took nearly 15 months to mobilize their army and actually set out (in March of 1683). This meant that there was a long period during which the Habsburgs and the rest of Europe knew that an invasion was coming, and they prepared by bolstering Vienna’s already formidable defenses and assembling armies that could be brought to the aid of the city once the Ottomans arrived. Additionally, Kara Mustafa Pasha apparently refused to commit to an all-out assault on Vienna, hoping to avoid the kind of wanton destruction and looting that would follow a violent Ottoman victory in favor of negotiating the city’s surrender. He preferred a negotiated surrender for two reasons. First, obviously, less war means less destruction of the city and its people, economy, etc. Second, if the city surrendered Ottoman soldiers wouldn’t get to do any sweet plundering, which means all the movable wealth they might have carried off would have gone into the Ottoman treasury instead. The city’s defenders, naturally, refused to surrender, so the Ottomans were stuck there, with no siege guns, facing a battle they had neither wanted nor prepared to fight. Since knocking the walls down with artillery wasn’t an option, Kara Mustafa Pasha decided to try undermining them instead, but his sappers were repeatedly beaten back by counter-tunneling from the Viennese defenders. The upshot of all of this was that the siege went on for weeks with no end in sight, and over that time the Ottomans lost thousands of men, perhaps as many as 20,000. If I were to say at this point that one of the biggest problems the Ottoman Empire had in this period was a lack of competent leadership at its highest levels, hopefully you’d understand where I was coming from. While the Ottomans were expending their strength in a futile effort to crack open the walls of Vienna, two Christian relief armies were being assembled. One was being put together by the Holy Roman Emperor, Leopold I, under the command of the Duke of Lorraine, Charles V. This army united with one sent by the Polish-Lithuanian Commonwealth under the direct command of the King of Poland/Grand Duke of Lithuania, Jan III Sobieski. Jan III took overall command of the joint force, which may have been as large as 100,000 men. They arrived on September 11, and the Crimean, Moldovan, and Serbian forces that Kara Mustafa Pasha had tasked with taking on the expected relief army collapsed after a short battle near Vienna. On September 12, that Polish-German relief army met the main Ottoman force outside Vienna’s walls. Kara Mustafa Pasha made another decision that turns out in hindsight to have been a tactical error, ordering some of his most capable units to continue trying to bust into the city instead of diverting them to meet the new arrivals. A last-ditch effort to undermine the walls failed when the mines were discovered and disarmed by the Viennese garrison, and meanwhile the Christian army had little trouble defeating the totally depleted Ottomans. The real back-breaker was a cavalry charge involving an alleged 18,000 horsemen, led by Jan III himself, that is believed to be the largest cavalry charge in military history. The Ottomans lost as many as 15,000 additional men just over the course of the final battle. 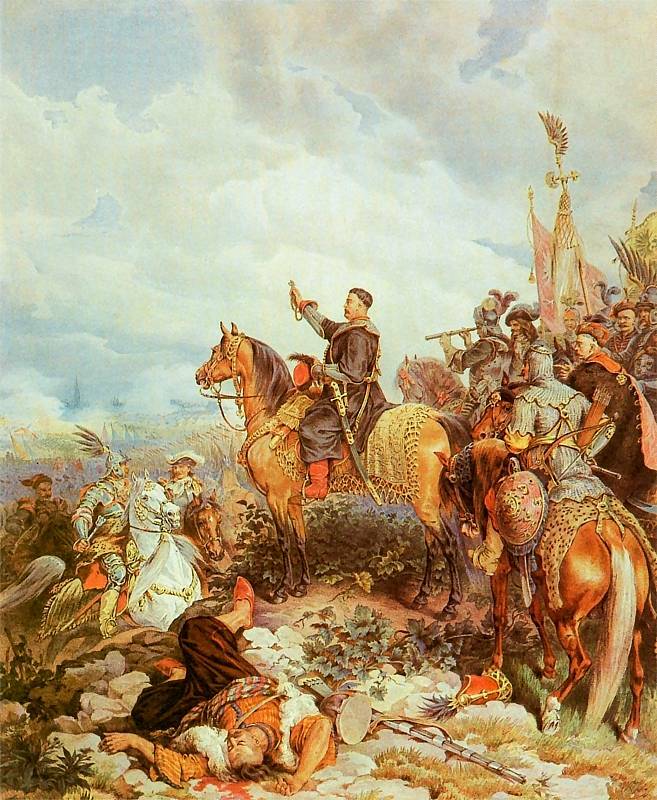 The Christians defeated the Ottomans again at the Battle of Párkány in early October, and Jan III was able to liberate the northwestern part of Hungary. Charles V, meanwhile, took advantage of the Ottoman disarray to add Serbia, Transylvania, and the southern part of Hungary to the Habsburgs’ domains. This was a fairly shocking development, in that it halted and even reversed three centuries, give or take, of steady Ottoman encroachment into Europe. On the defeated side, the Ottoman Janissaries saw to it that Kara Mustafa Pasha didn’t have to wallow in the agony of defeat for very long; they mutinied and executed him in Belgrade that December. Vienna wasn’t the end of the Great Turkish War–it was closer to the start, actually–but it did establish that the war would be fought with the Ottomans mostly on the defense for a change. When Karlowitz was signed in 1699, the Ottomans gave most of modern-day Croatia, Serbia, Bosnia-Herzegovina, and Hungary to the Habsburgs, the first time the Ottomans had ever ended a war by ceding territory to European powers. The Battle marks a change both in the European-Ottoman relationship, with the Ottomans now at parity or even at a disadvantage against their European enemies, and in the fortunes of the Habsburgs, who became the dominant power in central Europe and the northern Balkans and would remain so for some time to come. Always interesting to learn a bit of historyzzz!